Emery Rheam made her first solo flight in N8089E August 2018. Her instructor was Isaac Slepian. Nice Job! Virginie Baude finished her Private Pilot training in October 2018! Great Job! Congrats! Matt Angle passed his Private Pilot Checkride in November 2018 and is now a Private Pilot. Nice job! 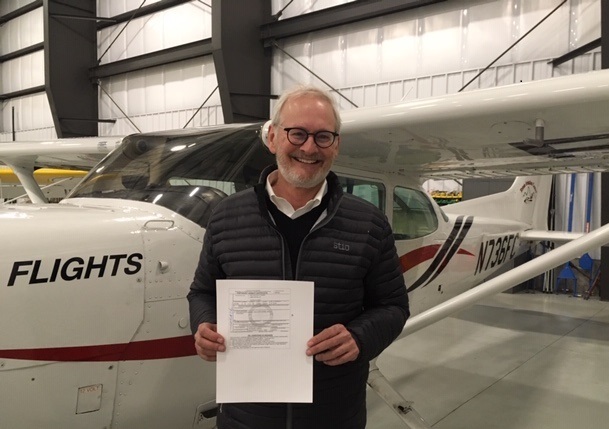 Scott O’Hare finished his Private Pilot certificate on a beautiful day in March 2019.